The Art Produce Gallery has ongoing submittal and curatorial review. Exhibits are up 5-8 weeks with performance events and temporal work scheduled quarterly. Artists are responsible for all aspects of design, installation, maintenance, sales and promotion of their artwork. Exhibition proposals and portfolios are reviewed by the gallery director/curator throughout the year. Proposal materials will be kept on file for scheduling of future exhibits. Artists interested in submitting proposals for an exhibit or event please submit the following: 10-20 images of representative work with descriptive information (or website), a brief bio and artist’s statement, resume, reviews and publications, and an exhibition proposal. The gallery typically exhibits art that engages the site and the community, with particular interest in interactive works. Please explain how your work and/or a public event during the exhibition would respond to this curatorial direction. 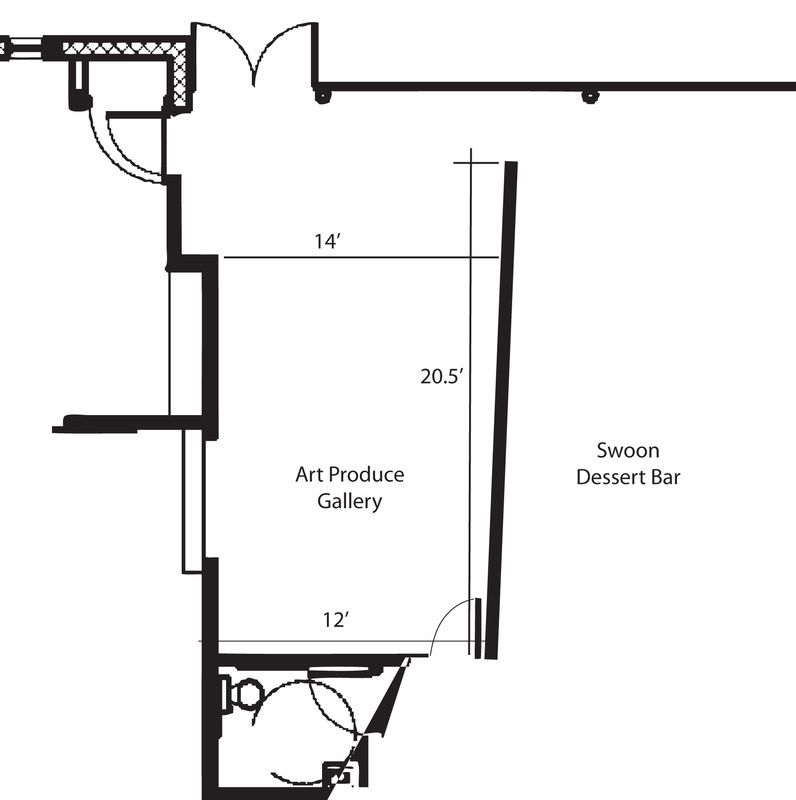 In the proposal please provide a complete description of the concept and intended use for the space, a proposed gallery design, and all equipment and materials to be used. Images and materials may be sent via this form (please package all files into one .zip file) or mailed to the gallery on a CD/DVD or as slides. Please note that materials will not be returned. Group exhibits are also encouraged. If proposing a group show a lead artist/curator must be established as a contact person and representative images and information about each exhibiting artist must be submitted. Please email your submission packet to Nikki Dunnan.